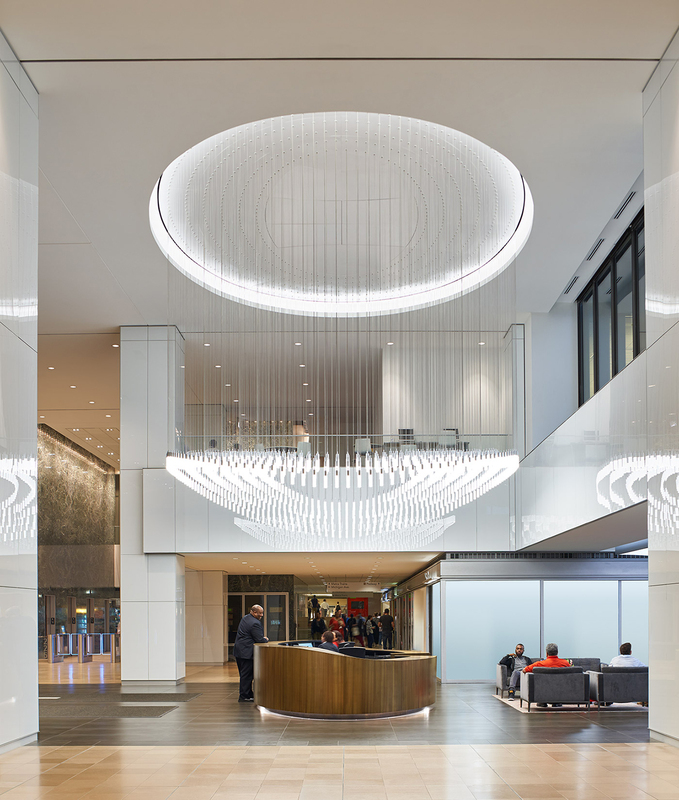 Michigan Plaza is completing an extensive renovation of its lobby and public spaces that will reposition the corporate building as destination for hospitality and engagement. 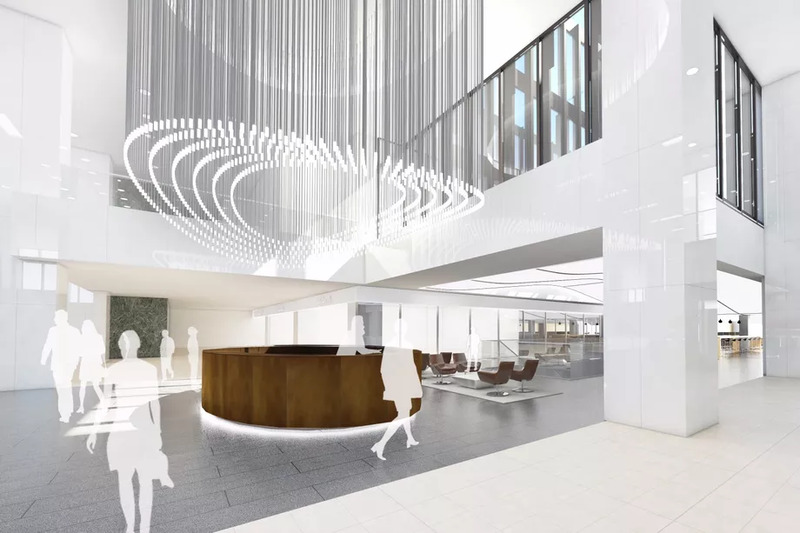 This renovation establishes Michigan Plaza as a “place to be” and will better engage, excite and unite the building’s current and future tenants with amenity and retail spaces that enrich the workplace experience and distinguish Michigan Plaza from its peers. Approximately 20,000 people pass through the building lobby each day and its location near the city’s pedway and train station allow it to serve as a vital commuters’ nexus. Specifically, the design introduces new hospitality elements spanning lounge seating, café, a “pop-up” area for engaging tenants and visitors with rotating food options: coffee and baked goods in the a.m. to catering and food trucks in the afternoons/evening. 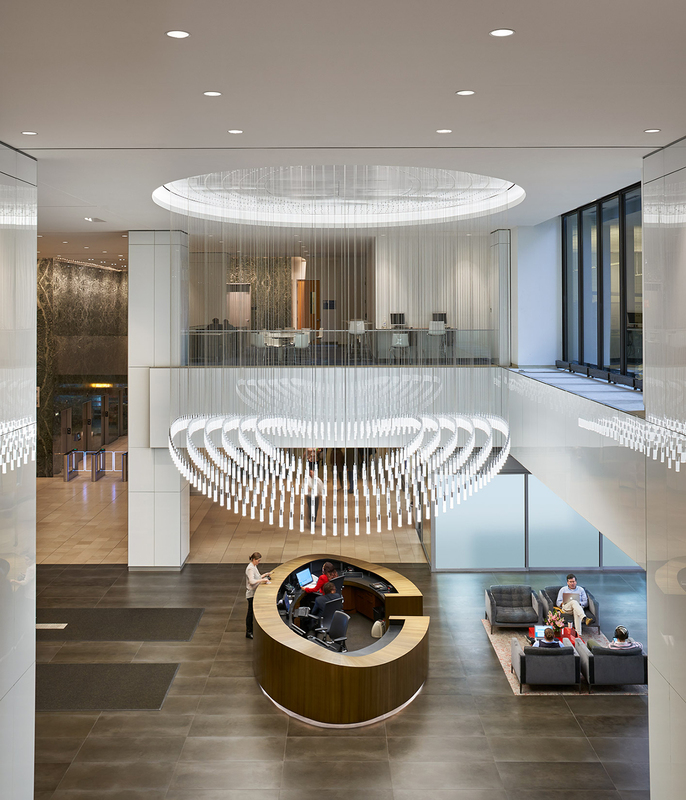 The architectural vision draws from the Michigan Plaza towers’ curtain wall facades as the entire main lobby space is wrapped in glass cladding to welcome natural light with a central chandelier in the center. 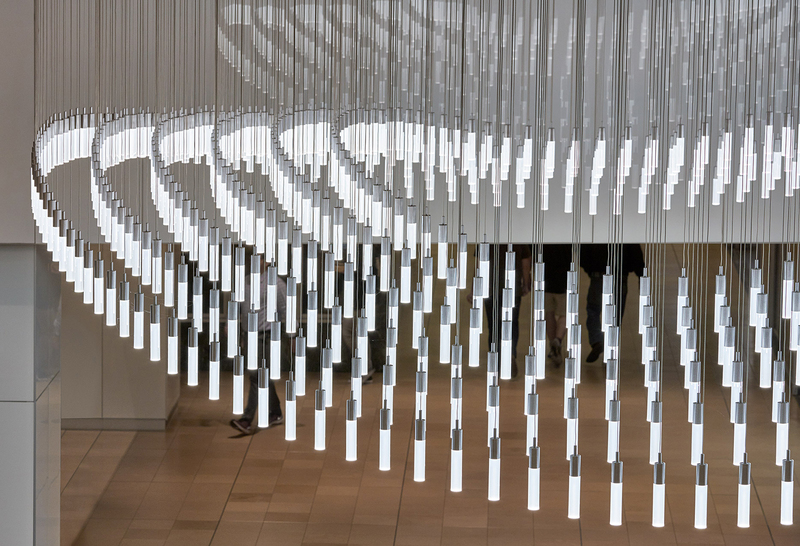 Made of 760 individual points of light, the chandelier’s curves and precision echo the building’s entrance canopy, front desk and other key building elements. 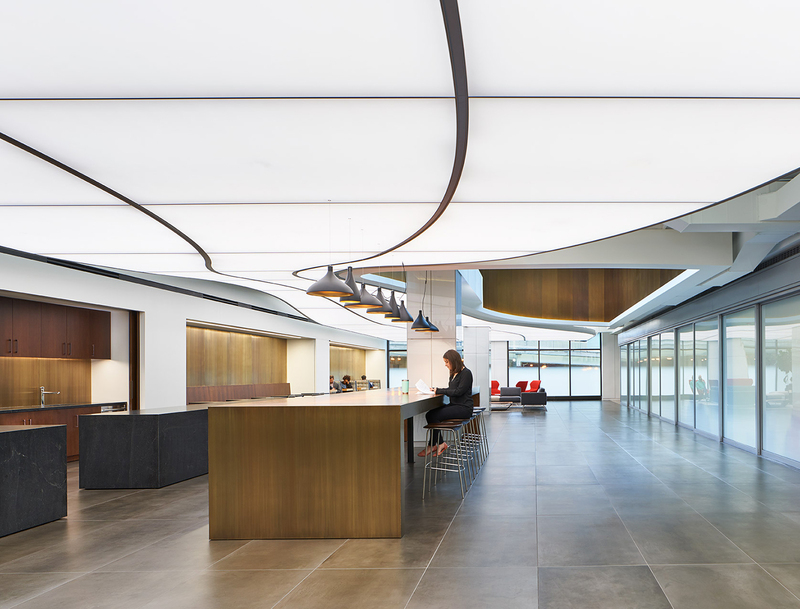 The new design embraces the lobby’s exciting book-matched green marble while the entire space is enhanced by a new glazing and skylight that further transform the current space into a comfortable, social experience.